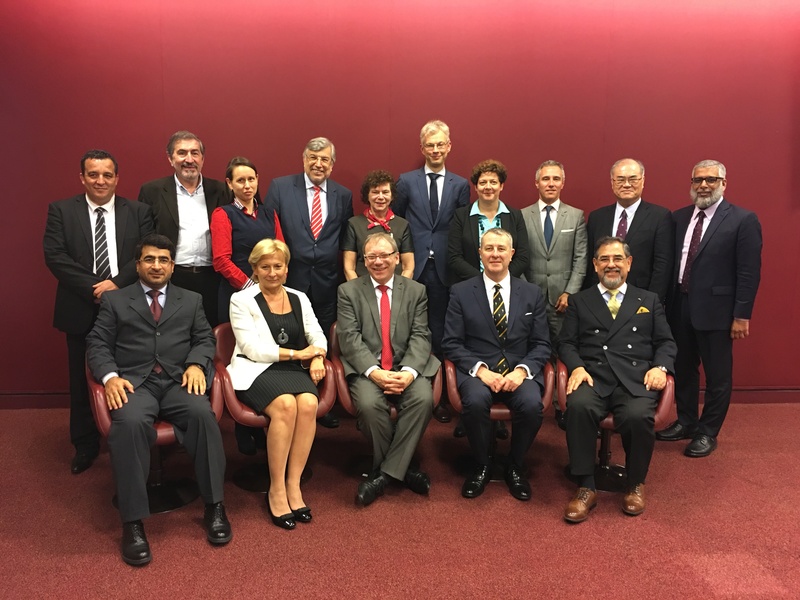 In conformity with Article 90 of Protocol I, the depositary - Switzerland - convenes at intervals of five years a meeting of representatives of the High Contracting Parties for the purpose of electing the Members of the Commission. The Members are elected by secret ballot from a list of persons to which each of the High Contracting Parties may nominate one person. The Members of the Commission serve in their personal capacity and hold office until the election of new Members at ensuing meeting. In case of a casual vacancy, the Commission itself shall fill it, having due regard to the provisions of Article 90 of Protocol I and to the Rules of the Commission. The current Members were elected at the meeting of the High Contracting Parties which was held on 8 December 2016, in Berne. The President, the 1st Vice-President and the three Vice-Presidents constitute together the Bureau. 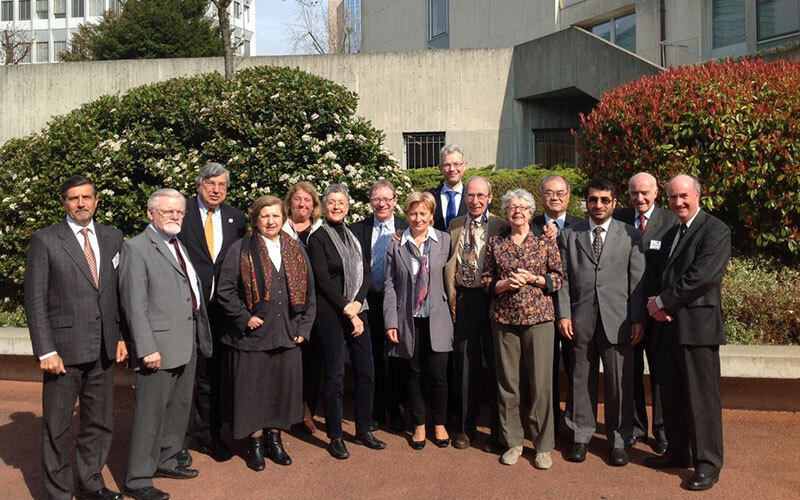 They were elected by the fifteen members of the Commission during the first Annual Meeting of the new Commission (20 February 2017, Geneva). Professor, Dr.iur., M. Phil. - Born 1963 in Lüdenscheid. He studied law at the Universities of Mannheim, Bonn and Heidelberg and International Relations at the University College of Wales, Aberystwyth, UK. From 1990 to 2001, Thilo Marauhn was a research assistant/fellow at the Max Planck Institute for Comparative Public Law and International law, Heidelberg. He passed his state examination in law at Heidelberg (1990), obtained the Diploma in International Law and Relations at Aberystwyth (1986), the doctorate in law (Dr.iur.) at Heidelberg (1994), the Master of Philosophy at Aberystwyth (1995) and the "Habilitation" at Frankfurt/Main (2000). He worked as Professor of European Law at the University of Strathclyde, Glasgow, UK, in 2001. Since 2001, Thilo Marauhn has been a Professor of Public Law, International and European Law at the University of Giessen, Germany, and Permanent Visiting Professor of Constitutional Theory at the University of Lucern, Switzerland. In addition, he was visiting professor / lecturer at the following universities: University of Bergen (Norway), University of Lapland (Rovaniemi, Finland), University of Warwick (UK), Northwest University (Potchefstroom, South Africa), University of Wisconsin (Madison/USA), Universidade Federal do Rio Grande do Sul (Porto Alegre, Brazil). Thilo Marauhn participated as project leader in a number of international research projects, including projects on private military and security compagnies (2008-2011) and on the legal status of unmanned aerial vehicles (2010-2012). He also served as a coordinator of various projects networking African Universities (since 2009). He is Chair of the Governing Board of the African Law Association (Gesellschaft für afrikanisches Recht, since 2009). Thilo Marauhn is also Vice-Chair of the Commission for International Humanitarian Law, German Red Cross. Apart from acting as a consultant for the German Government and International Organizations, Thilo Marauhn served on the Scientific Advisory Board of the German Federal Ministry for Economic Cooperation and Development (Chairperson 2006-2009) and he is a Member of the Advisory Board of the German Foreign Office to the United Nations. Elzbieta Mikos-Skuza was born in 1959. In 1982 she graduated with distinction from the Faculty of Law, University of Warsaw (Poland). She studied also at the Institute of Social Studies in The Hague (The Netherlands) where she attended two post-graduate programs: in International Law and Development (diploma with distinction in 1985) and in Development, Law and Social Justice (diploma in 1985). In 1991 she obtained a doctor's degree in law from the University of Warsaw. Since 1982 she has been working - with few breaks due to her studies and maternity leaves - at the Faculty of Law, University of Warsaw as a lecturer in public international law. She lectures occasionally at other universities and colleges, e.g. Polish Academy of National Defense, College of Europe, University of Rovaniemi in Finland. Elzbieta Mikos-Skuza is an author of publications (text-books and articles) on public international law in general and international humanitarian law of armed conflicts in particular. She serves as an expert to the Polish Ministry of Foreign Affairs. Since 1981 she has been volunteering with the Polish Red Cross. At present she is a vice-president of the PRC, member of its national board, president of the PRC Commission for International Humanitarian Law being responsible, among others, for international and national IHL courses organized by the PRC. She is an expert of the International Red Cross and Red Crescent Movement in numerous think tanks, panels and working groups. She is also a member of the San Remo International Institute of Humanitarian Law and of the International Law Association Committee on the Use of Force. In 2001 she was elected a member of the International Humanitarian Fact-Finding Commission. Since 2002 she has been a vice-president of the Commission. Elzbieta Mikos-Skuza is married and has two children. Justice. Dr Mohamed Mahmoud Al Kamali is General Director of the institute of training and Judicial Studies in Abu Dhabi, UAE. (Under Secretary of Minister of Justice). In his capacity as manager of the institute, he is responsible for applying the plan outlined by the scientific board of the Institute and representing the country in the international and local conferences on Judicial Training and studies and other legal issues. He is also a lecturer of the institute. Dr Al-Kamali was appointed as Director of the Judicial Inspection Department in the Ministry of Justice from 2000 to 2004. He supervised the practical training in the University Of UAE in the educational court from 1998 to 2000. He also held the position of the Chief of the Federal Court of First Instance in Al-Ain from 1997 to 2000. Furthermore; he was an Appeal Judge in the Appeal Court of Ajman from 1996 to 1997. He was appointed as a Senior Judicial Inspector in the Ministry of Justice from 1995 to 1996. He worked from 1987 to 1990 as an assistant Judge, in a mandatory state, General Prosecutor in Al-Ain Prosecution. Dr. Al-Kamali holds a Bachelor in law from the college of Sharia and Law, UAE University (1987). He also has a Diploma in International Commercial Law. Dr. Kamali also holds a PhD in Law (1995) and his area of expertise is related to "Development of Intellectual Property in the UAE". Member of Committees to review federal laws in ministry of Chairman of Legal Negotiating Team in FTA Negotiations between UAE, USA and with Australia. Chairman of GCC Patents office. Vice-Chairman of the National Committee of international Humanitarian Law. Member of Arab Women's Association of International humanitarian Law. National Coordinator for Axis of Judicial Development and Verdicts Enforcement under the care of UNDP. Member of the National Anti-Money Laundering Committee. UAE Representative in the International Humanitarian Fact – Fining Commission. Dr. Al Kamali is a member and the chairman of the UAE delegation team participating in many International and regional conferences , workshops and meetings related to different legal and judicial subjects like (organized crime , International Criminal Court , money laundering , corruption , crime of aggression, transitional justice, confronting counterfeiting and piracy, criminal's extradition and judicial and legal cooperation, judicial system and court administration, intellectual property law , cyber crimes , International Humanitarian Law). Dr. Al Kamali is the author of numerous publications on intellectual property, trademarks, corruption, reconciliation committee, money laundering and International Humanitarian Law. Ambassador Labbé read law at the University of Chile, and the Pontifical Catholic Universities of Ecuador, and Perú, and graduated at the "Andrés Bello” Diplomatic Academy in Chile. He concluded his Post-graduate studies at the Chilean War Academy, Santiago. 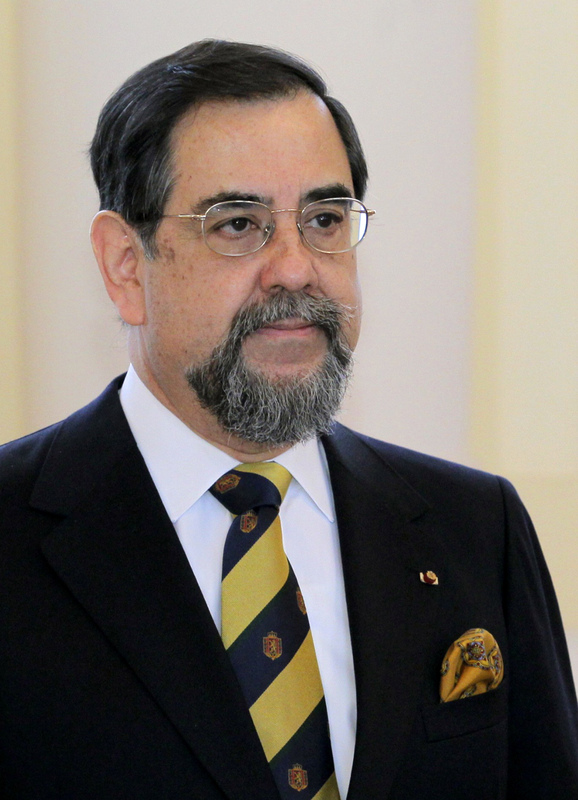 At the Chilean Ministry of Foreign Affairs, Ambassador Labbé served as Director General for Foreign Policy, as a Permanent Representative to the United Nations and the International Organisations in Vienna, as the Director for International and Human Security, as Deputy Permanent Representative to the UN in New York, as Deputy Permanent Representative to the UN in Geneva, as the Deputy Permanent Representative to the Conference on Disarmament, as the Head of the Disarmament and International Security Department, as Chargé d'Affaires to the Syrian Arab Republic, as Deputy Chief of Mission in Hungary, as the Head of the South American Department at the Directorate for Bilateral Policy, and as Diplomatic Secretary at the Embassies of Chile in Perú, Nicaragua and Ecuador. Along his career, Ambassador Labbé developed expertise in cultural, neighboring and multilateral diplomacy, particularly in International Security and Disarmament, UN Reform and Human Rights. He has worked to develop and strengthen International Humanitarian Law and humanitarian-related Disarmament International Law, contributing to the negotiation, universalisation and implementation processes of the Ottawa Convention, the Oslo Convention and the Arms Trade Treaty. Since 2005, Ambassador Labbé has been associated to the NPT Review process. He has chaired the II Conference of the States Parties and Signatories to the Treaties establishing Nuclear-Weapon-Free Zones, and headed the Chilean Delegation to the III Conference on Humanitarian Consequences of Nuclear Weapons. He now teaches at the Chilean War Academy Postgraduate Programme (2016-present). He has been appointed as Non-Resident Fellow of the Stimson Center, Washington, D.C (2016). Dr. Robin McNeill Love has served in the United Kingdom's Royal Navy from 1981-2014. Graduating in Medicine from the Royal Free Hospital School of Medicine, University of London (1984), he later achieved Membership of the UK's Royal College of General Practitioners and UK Royal College diplomas in Obstetrics and Gynaecology, Anaesthetics, and Aviation Medicine. Appointed Consultant in Occupational Medicine (2005), he was honoured in 2014 with Fellowship of the Faculty of Occupational Medicine of the Royal College of Physicians of London. During his naval career, Dr. McNeill Love has served on a global basis in several of Her Majesty's ships. This has included service as Principal Medical Officer (PMO) in the Royal Yacht, HM YACHT BRITANNIA (1992-4), which provided him with a privileged insight into the power of diplomacy in furthering harmonious international relations. Service as PMO in the Aircraft Carrier HMS ILLUSTRIOUS (1995-7) involved the peaceful transition of the sovereignty of Hong Kong from the UK to China. Later senior appointments included Commanding Officer of the Royal Naval Hospital (RNH) in Gibraltar 2002-6. Promoted to Surgeon Captain in 2006 as President of the Naval Service Medical Board of Survey, he oversaw medical care and employability of significantly ill or injured Naval Service personnel. He was then appointed Deputy Defence Postgraduate Medical Dean (2009-10). 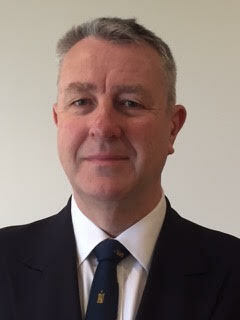 In 2011, Surgeon Captain McNeill Love attended the prestigious Royal College of Defence Studies (RCDS) in London. This was followed by his appointment as Assistant Head of Medical Policy at the HQ of the UK's Surgeon General (2011-13). This pivotal role involved policy creation for the UK's Defence Medical Services (DMS) and in addition he was the UK delegate to the NATO Military Healthcare Committee. During this time, Surgeon Captain McNeill Love became significantly involved with issues concerning International Humanitarian Law (IHL) and Military Medical Ethics. Playing a key role in the formation of the UK DMS Professional Conduct and Ethics Committee, he also worked to enhance IHL training for DMS personnel. Appointed an Honorary Physician to HM The Queen (QHP) in 2013 he was then promoted to the UK 1* rank of Surgeon Commodore as Head of the Royal Naval Medical Service. Surgeon Commodore McNeill Love retired from the Royal Navy in December 2014. Since 2015, Dr. McNeill Love is employed as a Consultant Occupational Physician in the City of London and between 2016 and 2017 he also worked for the UK's National Air Traffic Services (NATS). A member of the Royal Institute of International Affairs (‘Chatham House') and life-member of RCDS, Dr. McNeill Love maintains close liaison with the International Law Department of the British Red Cross. He is a Regional Fellow of the Royal Society of Medicine, a Member of the UK's Faculty of Medical Leadership and Management and a Fellow of the UK's Chartered Management Institute. Dr. Robin McNeill Love was a trustee of a UK Military Charity between 2015 to 2018. He reluctantly did not extend in this role to allow time for his other commitments, including the IHFFC. He was appointed to the Medical Board of The HALO Trust in 2018. Since July 2018, he was elected to be the Prime Warden of the City of London's Worshipful Company of Blacksmiths. On 8 January 2019, Dr McNeill Love was greatly honoured to be appointed by HM Lord-Lieutenant for Greater London to be a Deputy Lieutenant (DL) for Greater London. This role involves supporting HM The Queen and the Royal Family within the Greater London Lieutenancy. Shuichi Furuya is a professor of international law and his major fields of research are international criminal law, humanitarian law and human rights law. He is a full time professor of law at Waseda Law School and currently an Associate Dean for Academic and International affairs. He was born in 1958 and graduated from Chuo University Faculty of Law, Tokyo, in 1981. He obtained an LL.M. from Waseda University Graduate School of Law in 1983. He was also a visiting professor of the Netherlands Institute of Human Rights (SIM) at Utrecht University, and a visiting fellow of the Lauterpacht Research Centre for International Law at Cambridge University. He is a Co-Rapporteur of the Committee on Reparation for Victims of Armed Conflict, International Law Association (ILA). In this capacity, he has been making comparative researches on mass claim procedures which were established after international or non-international armed conflicts and to which individual victims of violations of international humanitarian law were entitled to submit their claims for damages. Accordingly, he is currently drafting Procedural Standards for Reparation Mechanisms. He is also a member of Editorial Boards of Netherlands Quarterly of Human Rights and of Japanese Yearbook of International Law. He serves for various academic societies including the Executive Council of Japan Chapter of the Asian Society of International Law, the Executive Council of the Japanese Society of International Law and the Science Council of Japan. 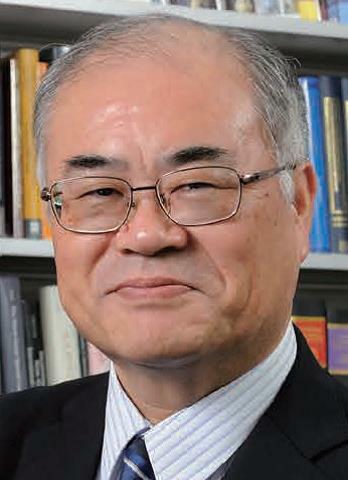 He published more than 50 articles in English and Japanese on international criminal law and humanitarian law including the topics of reparation for victims of armed conflicts, participation of victims to international criminal justice and a model statute of ad hoc international compensation commission etc. Mr. Al-Naimi is a Senior Consultant Urologist with a special interest in teaching, research and administration underpinned by in-depth awareness of clinical governance and GMC Good Medical Practice. 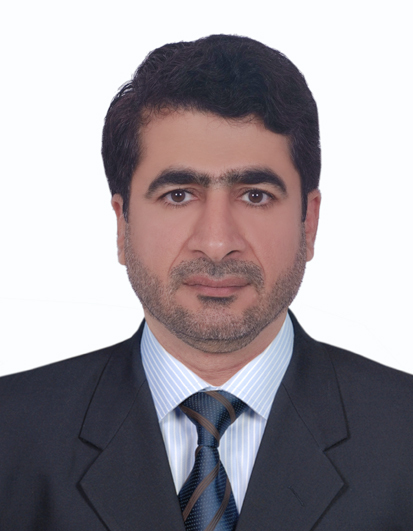 Mr. Al-Naimi works at the Hamad General Hospital, where he serves as the Chair of the Research Committee. He completed a MSc. Leading in Managing in Healthcare Organizations at the Plymouth University, in the UK (2014-2016). Mr. Al-Naimi is an active supporter of multiple organizations that aids war victims and refugees globally. He gained experience in Albania during Bosnian war, and currently visits the Turkish-Syrian border to support Syrian refugees, where he performs reconstructive urological surgeries for war victims requiring specialized surgical procedures unavailable in Syria. He has proven success demonstrating a positive response to pressure in often strenuous working environments and busy hospital settings spanning twenty years while championing the consistent delivery of first class care in all aspects of urology. He has served as the Chair of the Relief and Development Committee of the Qatar Red Crescent (2016). J. Monnet Chair "Democracy and Human Rights in the EU"
UNESCO Chair "Democracy, human rights and peace"
Author of 280 publications (books, studies, articles, reports etc.) concerning issues of International Law, International Protection of Human Rights, International Humanitarian Law, European Law and Integration, Hellenic Foreign Policy etc. Professor Belhadj received a diploma of medicine from the University of Algiers in Algeria, specializing in Forensic Medicine (1993). He has been a teacher at the Faculty of Medicine of Algiers (1994-present). He has also been a Pedagogical Director of the specialty of Legal Medicine, Medical and Ethical Law (2012-present). He is also the Chairman of the Scientific Council of the Faculty of Medicine of Algiers, and the Director of Medical and Paramedical Activities of Mustapha University Hospital of Algiers. 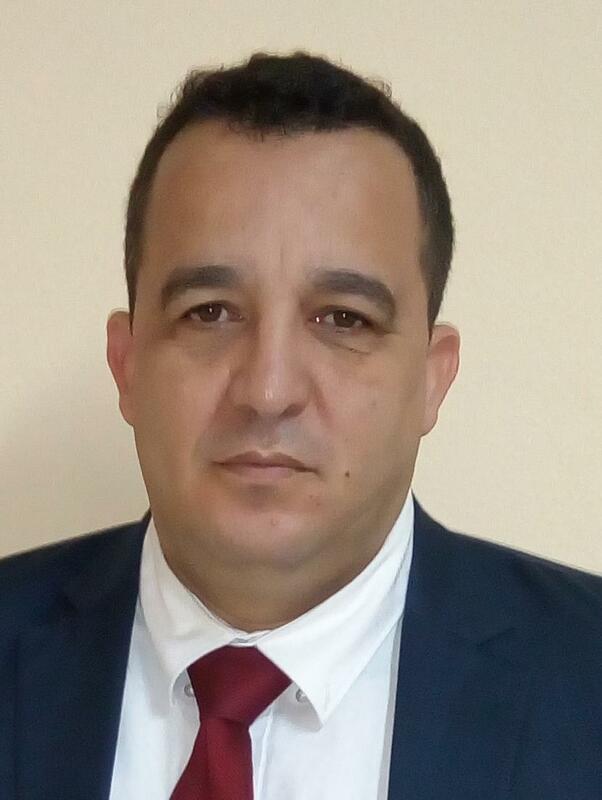 Professor Belhadj is a specialist in the reconstruction of crime scenes, teaching at the level of the Superior School of the Magistracy of Algiers. He is responsible for the medical care of the guard at the Mustapha University Hospital of Algiers, and for the medical-judicial emergencies unit and the medical-legal examination of the accused persons. He has also a long experience in the practice of medical-judicial autopsies and expert of the Ministry of Justice in the field of personal injury (1994-present). 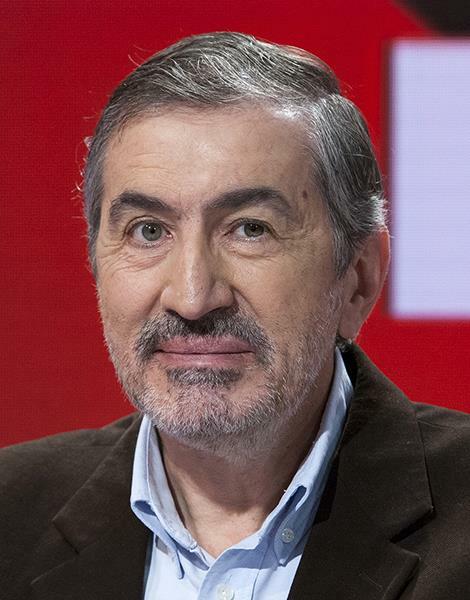 Professor Belhadj also participated as Responsible of the Scientific Commission on the management of provoked or natural catastrophes (Algiers attacks 1994-2007, flooding of Bab El Oued 2001, earthquake of Boumerdes 2003, Attack of Tiguentourine in 2013, crash of Ukrainian plane in the south of Algeria in 2014, Case of the monks of Tibhirine in the framework of an international rogatory commission). Today, Professor Belhadj is the Head of Forensic Medicine Department at the Mustapha University Hospital in Algiers, President of the Algerian Society for the Development of Forensic Sciences, and continues his active involved with the ICRC in training judicial police officers and magistrates in the medical charge of the accused persons and the observance of the rules of procedure regarding the medical examination of persons in custody. 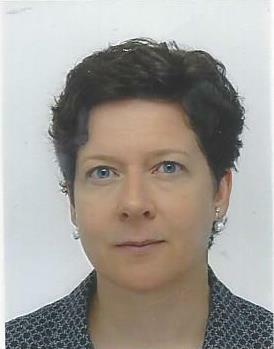 Laurence Boillat, who graduated with a licence in law from the University of Fribourg, Switzerland, and was subsequently admitted to the bar, spent 20 years of her professional career working as a criminal prosecutor with various state institutions in Switzerland and, at the same time, as a military court judge with a senior ranking in the Swiss Armed Forces. From 1998 to 2003, she was head of the Criminal Police of the Canton of Jura, and subsequently worked, until 2006, for the Federal Office of Police within the staff office for international development and crisis management (SINDEC) with responsibility for the strategic dossiers on police cooperation. She then decided to offer her experience in police matters to a judicial authority and took up a position with the Office of the Attorney General of Switzerland, where she remained until the end of 2015, before joining the Office of the Public Prosecutor of the Canton of Vaud. As Federal Attorney General, Laurence Boillat was responsible for inquiries, investigations and the execution of national criminal proceedings and for mutual legal assistance in connection with financial crime, money laundering, organised crime, the protection of the state and terrorism. Since 2011, she has specialised in the criminal prosecution in Switzerland of international crimes, such as war crimes, crimes against humanity and genocide, from 2012 as head of the Centre of Competence for International Criminal Law, which was established for this purpose. As a member of the Swiss Expert Pool for Civilian Peace Building and of the Justice Rapid Response, both supported by the Federal Department of Foreign Affairs, Laurence Boillat participated in the United Nations International Independent Investigation Commission in Beirut in 2005, in the commissions of inquiry of the Office of the UN High Commissioner for Human Rights in Conakry in 2009 and in Abidjan in 2011, and in two missions to Bamako, in July 2014 and in October 2015, for the purpose of assisting the judicial authorities of Mali with the prosecution of war crimes committed on Malian territory. Laurence Boillat is also a member of the Swiss Commission for UNESCO, where she works in particular for the protection of cultural property in situations of armed conflict. Dr. Molde received herMedical Degree from University of Lund, Sweden, specializing in general surgery in 1976. After spending almost twenty years as a surgeon, Dr. Molde went on her first missions for the ICRC in Ethiopia and Afghanistan in the early 1990's. Due to her meaningful experiences, she has been dedicated to humanitarian work in armed conflicts around the world. In 1993, Dr. Molde served as a medical coordinator in Bosnia for the WHO. From 1994-2001,shewasa surgeon and Coordinator for theICRC in Geneva. In addition, she has conducted assessments of needs and discussions with authorities about access and acceptance, and the right and duties of medical personnel in conflict areas. She has also worked as detention doctor for prisoners of war in Irak and Russia. From 2002 to 2005, she was an Instructor to the Swedish Armed Forces in International Humanitarian Law, trauma care, and war surgery. 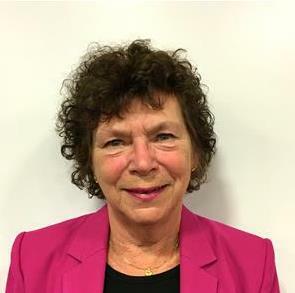 From 2005 until 2007, she served as a Consultant in the emergency department of the University South Hospital in Stockholm, and from 2007 until 2011, she served as a Consultant for disaster preparedness in the Swedish National Board of Health. She was a board member of the Swedish Red Cross from 2002 until 2011, serving as the Vice President from 2008 until 2011. In 2011, she worked in Tunisia on the "Restoring Family Links" project. Nowadays, Dr. Molde conducts courses in war surgery and trauma care for the ICRC around the world. She spent last year in North Korea, Ukraina, Turkmenistan, Tadjikistan, Kazakstan, and Pakistan. Mr. Oyarzábal has been the Legal Adviser to the Argentine Ministry of Foreign Affairs (2016-present). The Office of the Legal Adviser furnishes advice on all international legal issues arising in the course of the Ministry's work, including promoting the development of, and compliance with, the country's compliance of International Humanitarian Law. As a diplomat, Mr. Oyarzábal has served as Deputy Consul of Argentina in New York (1998-2005), and as Deputy Permanent Representative of the Argentine Republic before the United Nations Security Council (2013-1014). 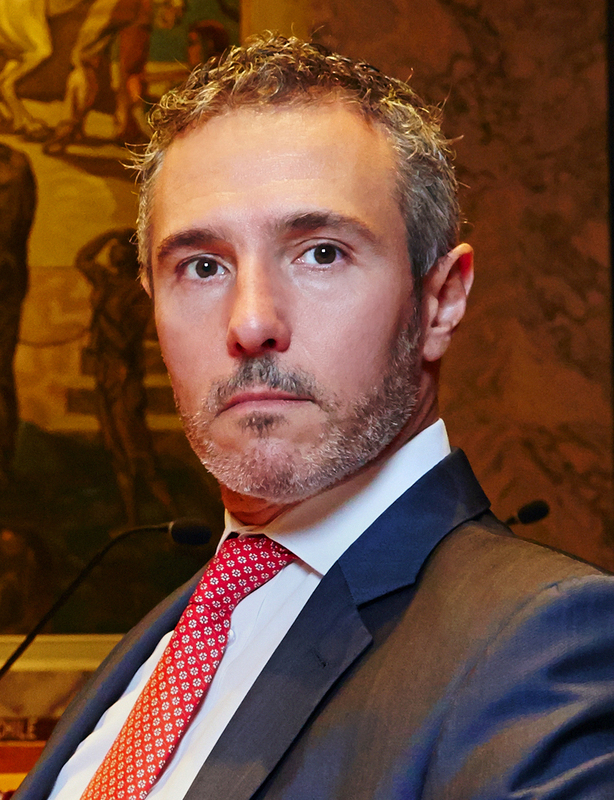 He has also litigated for Argentina before the International Court of Justice (2007-2010), and the International Tribunal for the Law of the Sea (2010), and has represented Argentina in a range of international organizations. Mr. Oyarzábal has been an Adjunct Professor of Law at the University of La Plata Law School (1995-present), the University from which he received his JD, and his LLM from Harvard Law School (2005). His research areas of interest are Public International Law, Private International Law, and International Human Rights Law. He has conducted research and lectured extensively on International Law issues around the world. He is the author of four books and numerous articles published in collective works and in legal periodicals. Francisco Rey has a Diploma on Sciences with a specialisation on Public Health and a Master Degree on International Relations. He has been a Co-director, researcher and consultant at the Institute of Studies on Conflicts and Humanitarian Action in Spain (2000-present), where he is a founder and member of the Board. He is in charge of research activities and training courses at different universities, co-operation with humanitarian NGO´s, and consultancy for different institutions, including the DG ECHO, the Spanish Government, the Dutch Government, the Spanish Red Cross, and MSF. He is currently a member of the Board of INSPIRE Consortium and works for DG ECHO in policy issues and training. His previous experience was with the Red Cross and Red Crescent Movement where he has developed different responsibilities (1986 to 2001). He has also completed research and teaching activities in some Spanish, European and Colombian Universities. In addition, Mr. Francisco Rey Field has experience in different conflict and emergency contexts. He has served in Mozambique, Colombia, Haiti, Nicaragua, El Salvador, India, and the Philippines. In the last years, he has focused some of his research and consultancy in Colombia through cooperation with OCHA and NOREF on issues related to the humanitarian aspects in the peace process. He is a member of the Active Learning Network on Accountability and Performance of Humanitarian Action, member of the Center of Studies of International Humanitarian Law of Spanish Red Cross, and a Board member of the Humanitarian Studies Institute in Colombia. Réka Varga studied law at ELTE Budapest and Regensburg Faculties of Law and graduated at ELTE University Budapest. She defended her PhD thesis at Pázmány Catholic University, Budapest, on domestic prosecution of war crimes. She is currently Head of International Law Department at the Ministry of Foreign Affairs and Trade of Hungary, and associate professor of international law at the Pázmány Catholic University Budapest. Earlier she was legal adviser of the International Committee of the Red Cross (ICRC) Regional Delegation for Central Europe, then IHL adviser of the Hungarian Red Cross. 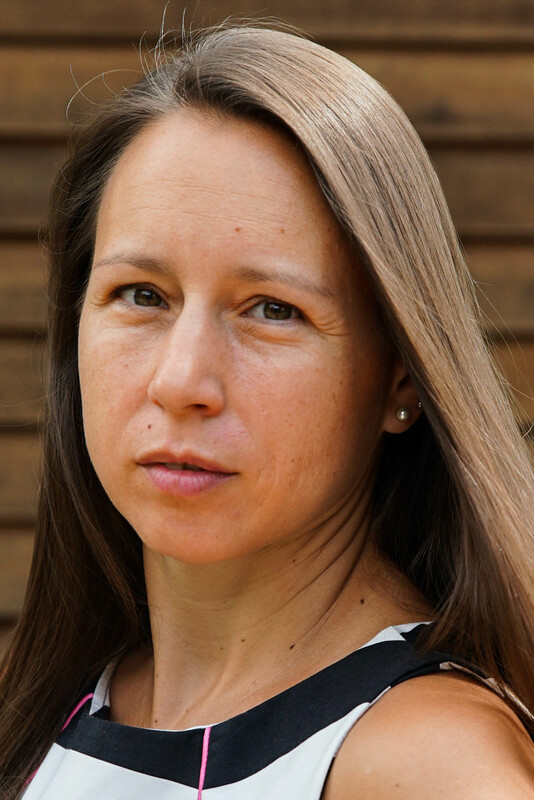 Réka Varga participated as lecturer/trainer at numerous IHL training events for members of the armed forces, both for officers and military legal advisers, among others in Hungary, Austria, and Bulgaria. She is co-director of the Vienna Course on International Law for Military Legal Advisers, organized by the Austrian Federal Ministry of Defence and Sports and ESDC (European Security and Defence College). She is the co-editor of the Hungarian Yearbook of International Law and European Law, author of a monograph and numerous articles on international humanitarian law and international criminal law. Due to her previous and present assignments, Réka Varga has experience in multilateral diplomacy, negotiations related to implementation and application of international humanitarian law treaties and relevants fields of international criminal law. Justinas Žilinskas is born in 1974, in Vilnius, Lithuania. He studied law at Vilnius University (Criminal Law specialization) (1997) and holds a Ph.D degree from Mykolas Romeris University (Vilnius) (2001). He currently serves as professor at the Department of International and EU Law at Mykolas Romeris University, Vilnius where he teaches the following courses: International Humanitarian Law, International Criminal Law, and Introduction to Comparative Law. He is member of the National IHL Implementation Commission under the Ministry of Defense since 2003. He is Member or acting as an expert for various Government-level working groups on International Law, Criminal Law, Human Rights Law as well as European Court of Human Rights matters. Dr. Žilinskas is a lecturer at the Baltic Summer Academy of International Humanitarian Law (from 2003). From 2001 to 2005 he acted as a Senior Advisor and the Head of the International Law and EU Law Section at the Legal Department of the Office of the Seimas (Parliament) of Lithuania. From 2007 to 2009 he was Head of International Relations Department, Senior Research Fellow at Law Institute of Lithuania. Dr Žilinskas is an acting expert for the Lithuanian Academy of Science (from 2011). Since 2011, he is a member of the Lithuanian National Group of the Permanent Court of Arbitration (Hague). Justinas Žilinskas is also locally known as young adult fiction writer and free-lance publicist. For the list of the former Members of the IHFFC, please klick here.